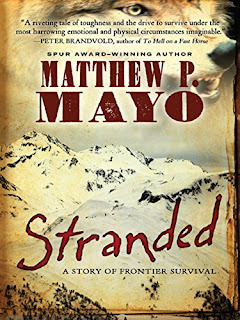 Author Matthew P. Mayo's Stranded is inspired by the true story of Janette Riker. Through a series of unfortunate events, fourteen-year-old Janette was left alone at the foot of the Rocky Mountains to brave the harsh conditions of winter in 1849. Written in journal format, this novel is altogether riveting. Harrowing scenes are told so vividly, and with such powerful prose, it's easy for readers to become entirely immersed in Janette's story. The young frontier girl's heart-rending account, as represented by Mayo, is one that will not soon be forgotten. Equal parts fascinating, inspiring, and endearing, the story of this determined young lady who endured unbearable conditions in the unforgiving wilderness is suitable for readers of all ages who will surely be entranced by this historically accurate work of fiction. 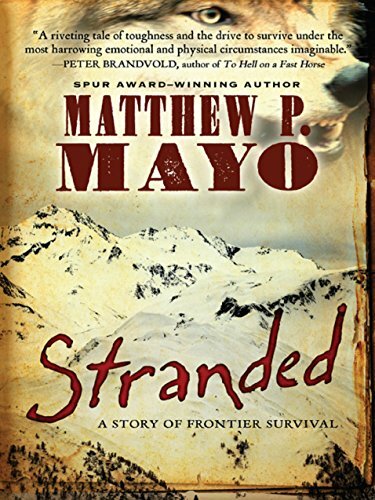 Stranded is recommended for home and school libraries and has earned the Literary Classics Seal of Approval.